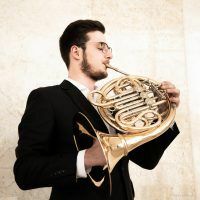 Tonight in Naples he will perform Strauss’ horn concerto No. 2 together with the Orchestra Camera di Napoli. On Friday him an the Hofer Symphoniker will be playing Mozart’s 4th horn concerto.